If you want the ability to pitch camp anywhere, anytime on your automotive adventures – but can’t stretch to a £50,000 camper van – Mini may just have come up with the perfect solution on their latest Countryman. 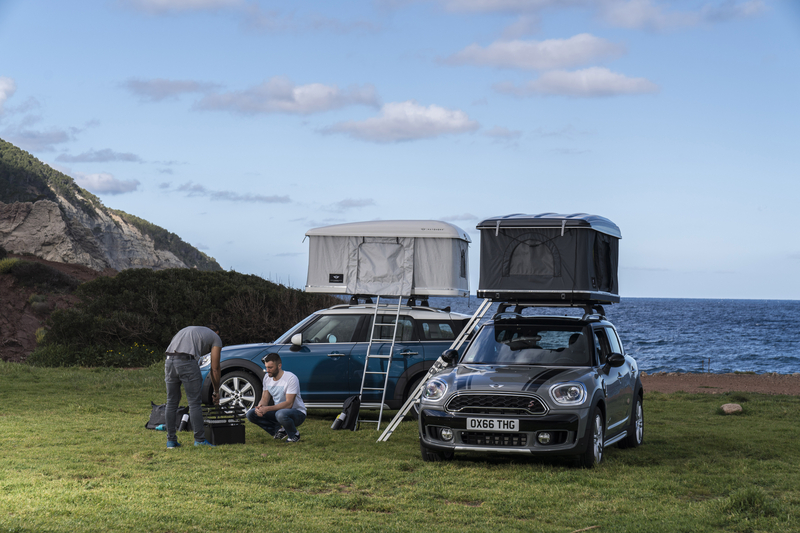 Teaming up with Mini’s design department, roof-top tent specialists, Autohome have developed a bespoke sleeping quarters for the Countryman mounted (without the need for tools) on the car’s as-standard roof rails. Packed away in its outer casing, the Countryman’s tent looks like a conventional roof box. Its aerodynamic shape has been designed to provide minimal air resistance and noise, making for carefree motoring between your overnight stops. However, once raised – by means of four gas pressure springs – the system transforms the new Mini Countryman’s roof into an impressively-equipped roof-top bedroom, big enough to sleep two people. Available in either white or black (designed to complement the contrasting roof and mirror caps of the latest Countryman), the Autohome-made tent includes a high-density mattress, two zipped doors and windows, mosquito nets and a battery-operated LED interior light. There are also a plethora of luggage nets and pockets to stow your valuables and a solid aluminium ladder to get you up onto your Mini’s roof. 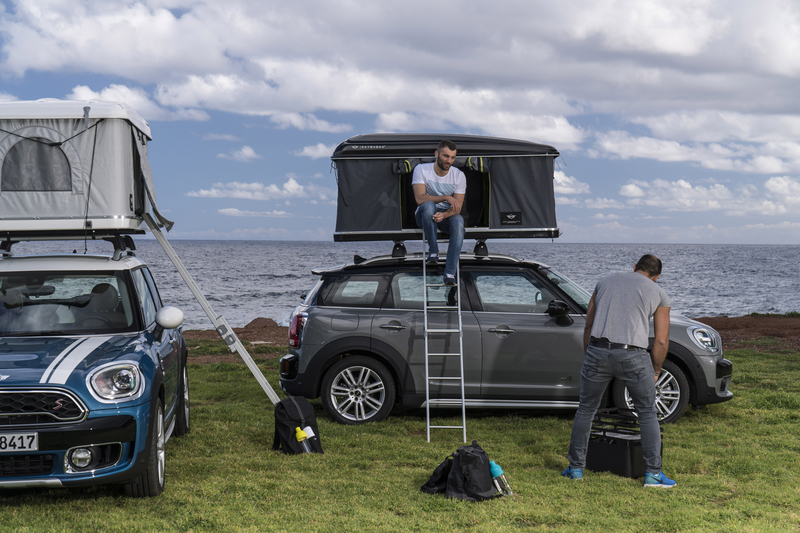 With a price of €2,836.93 (nearly £2,500), the Autohome roof tent isn’t exactly cheap but it does free up a load of space inside the back of the new Mini Countryman, making it an even more perfect partner for a Norwegian surf trip. Sign us up.